Have you ever seen such shifty eyes? Posted January 10th, 2014 . This made me laugh! Our house is full of baby gates. It’s actually embarrassing because guests stand there for 5 minutes fidgeting around trying to open one…then another. ……..
That’s the yeah i did it and i’ll do it again mug shot. Just hope he doesn’t figure out that he can jump the gate. 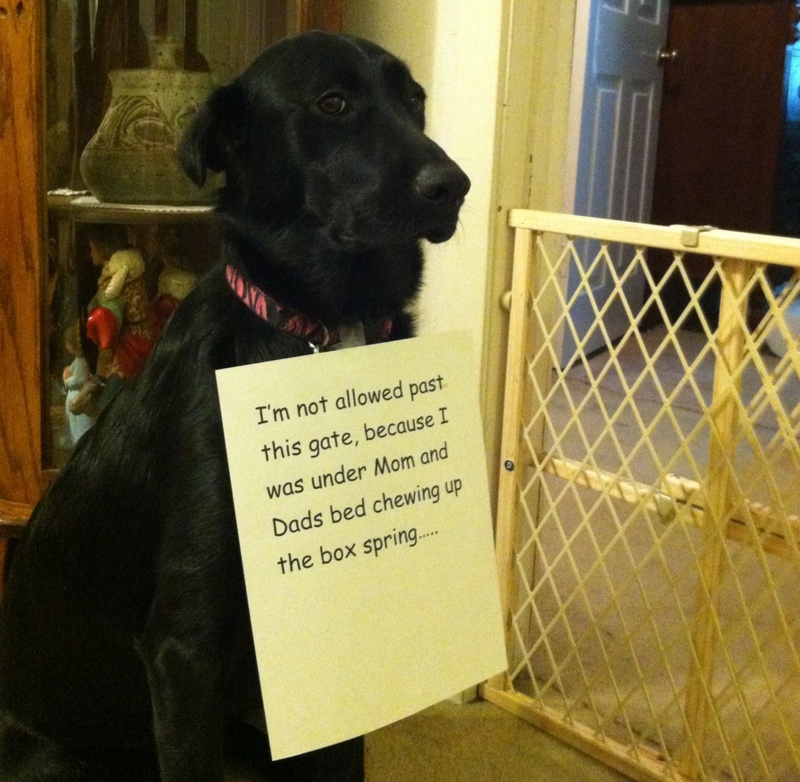 Had the same experience – discovered when I moved that someone had been busy under my bed demolishing the box spring. my muttsicle had shiftier eyes if you can believe it! always looking at me from the corner of his eyes if he was getting a scolding!